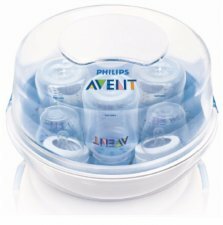 AVENT Microwave Steam Steriliser has a lightweight and compact design, which makes it ideal for use in and out of the home. 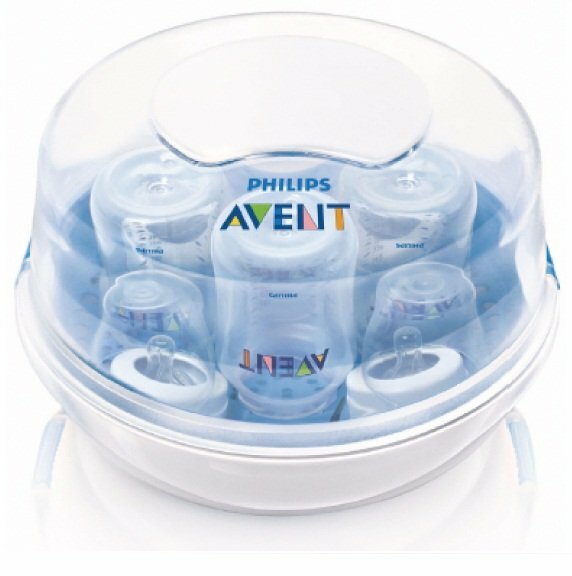 Contents remain sterile for up to 24 hours if the lid is unopened. Compact and lightweight - Convenient for travel. Bottles pictured for illustration purposes only and are not included.